This is a special birthday card that I had to make in a flash. I knew that the Stampin' Up! 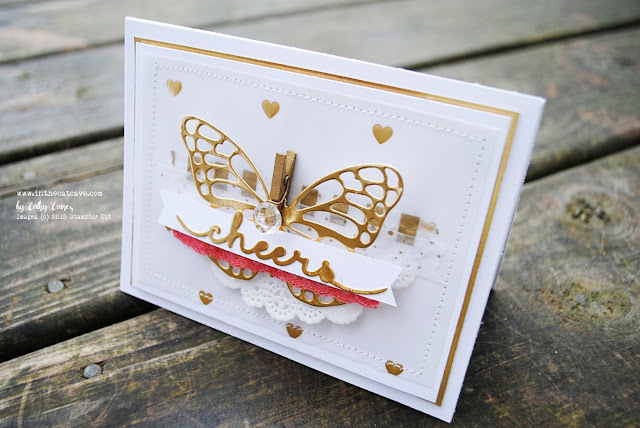 Artisan team had a blog hop in July using the butterfly thinlets so I went through their hop and found what I was looking for. This card is completely inspired by Sarah Sagert's lovely card. Thanks for the inspiration Sarah! In the mean time... well... it's probably time for you to get those butterfly thinlets! I used a polka dot bag with a clothespin instead of the envelope due to the fact that this card was very bulky. It worked out fabulous! My sweet, talented friend...this card is amazing!!! 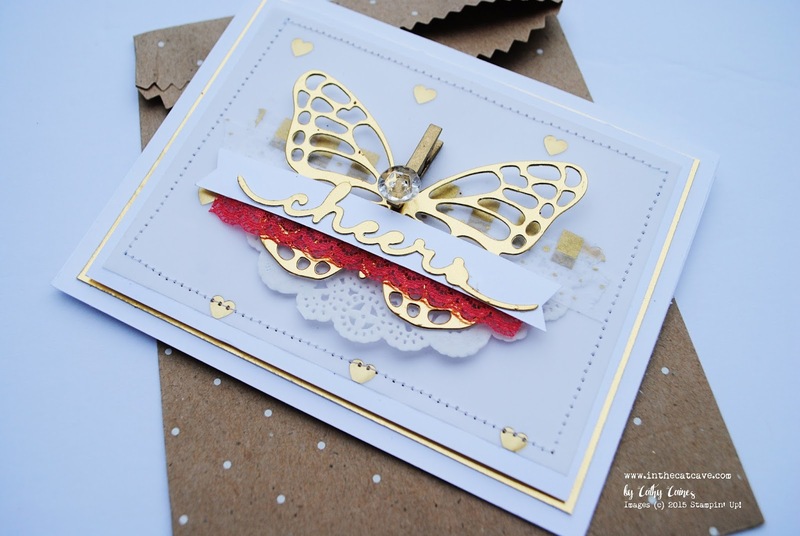 That gold foil butterfly is stunning. Can you believe that I have this die and have yet to use it? Miss you so much! Hugs!